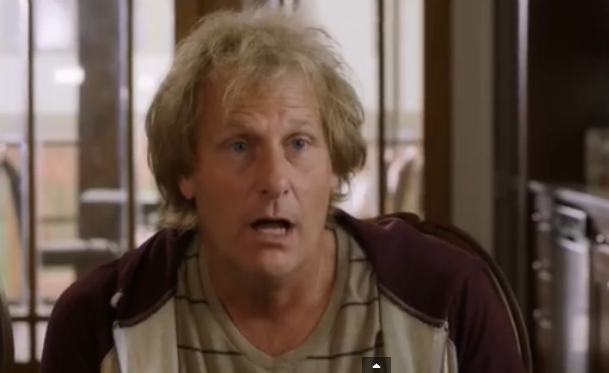 So, have you seen “Dumb and Dumber To” — the sequel to the 1994 hit starring Jim Carrey and Jeff Daniels? No? Well, you ought’a — it ain’t “Dr Zhivago,” sure, but there’s some little gems in there worth thinking about. Case in point, the scene where Harry, played by Daniels, reunites with his parents in search of an organ donor to save his life. It’s worth thinking about why this scene — notably the moment when Harry realizes he’s adopted — is funny. For there’s a lesson in comparison buried here, inasmuch as what we, the audience, see as an obvious difference was apparently not obvious to poor Harry — and it’s his inability to see what’s so self-evident to us that strikes us as funny. 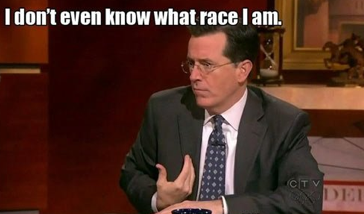 But the difference between Harry and his parents, the one we likely can’t help but see all throughout the scene, is only obvious to those who (unlike Stephen Colbert) “see” race. For without that way of organizing (and, yes, ranking) people taking precedence, without assuming it’s natural and self-evidently important to see just those facial differences, for instance, well, Harry’s not such an oblivious character after all. Sure, the genetics needed for an organ donor match might prompt us to think of certain ways of classing human relations as opposed to others, but donors don’t need to come from people with whom we’re genetically intimate, suggesting those adoptive parents might be candidates no matter what language they speak or where they were born. So what’s cool about this scene, I think, is that it invites us to consider just why we, the audience, can’t not see the differences that Harry seems to have never noticed, suggesting that the scene is far more about us than it is about him.